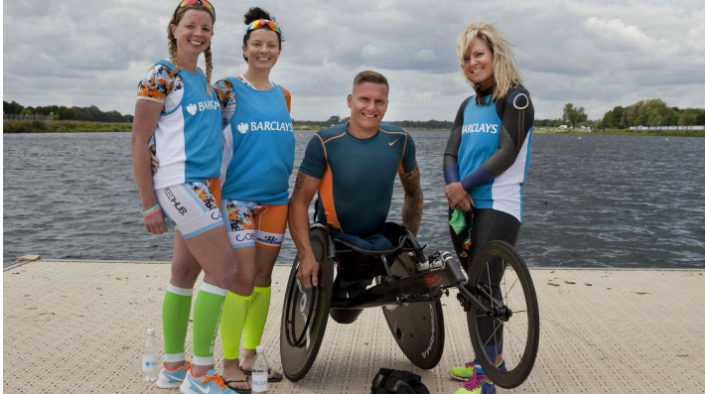 Team Barclays (from left): Emily Campbell, Laura Turner, David Weir and Tracy Cox-Smyth. Cyclist Laura Turner (left) with her tandem bike training partner Emily Campbell. Springboard diver Tracy Cox-Smyth awaits her leg of the triathlon. Laura, who has been partially sighted since birth, said things changed when she went to a secondary school that was “more supportive of people with visual impairments”. That was the start of a sporting journey that led her to enter a Barclays competition to join Paralympic superstar David Weir in the bank’s team at the 2017 Superhero Tri – a disability sports series founded by Paralympian Sophia Warner and featuring athletes like Weir, Kadeena Cox, Sophie Christiansen and Jonnie Peacock. 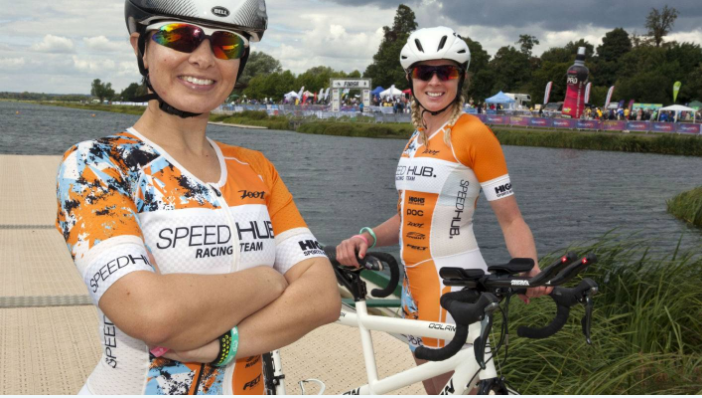 Last month, she found herself by the shores of Dorney Lake, Windsor, waiting to take part in the big race. Helming the middle leg of Team Barclays’ entry, Laura saw her teammate and fellow competition winner – swimmer Tracy Cox-Smyth – exit the water in fourth place out of 23 participants. The cyclist’s job was to pedal well enough over the 3km circuit to hand over to Weir – in a position for the six-time gold medallist to power the team to victory. 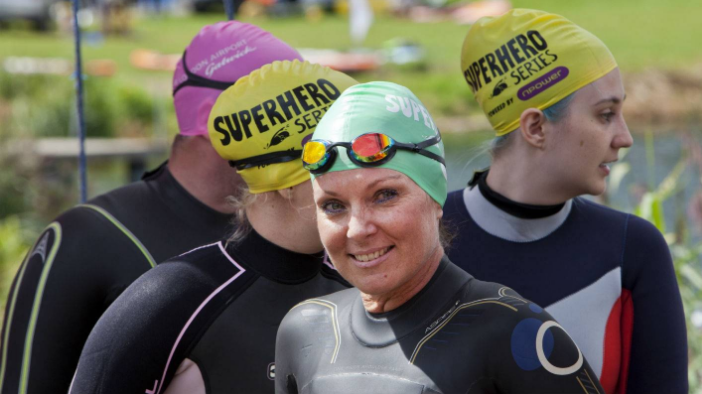 This attitude was behind Laura’s decision to register – a week before the event – to compete alongside 1,700 others in the full triathlon preceding the celebrity race. With her tandem-bike training partner Emily Campbell’s encouragement, Laura went from saying “there’s no way you are ever going to get me in that lake” to “let’s do it”. On the event itself, Turner says: “I think there is a special connection between disabilities and sport. Events like Superheroes bring everybody together. It’s not just about keeping fit, it’s a social thing, especially for people with disabilities. It’s about inclusion. Click here to read on and to see more great photos!